From time immemorial, the people of India have animals and birds are an integral part of life on earth nurtured, and even deified. Every important Hindu god or goddess has a vohona carry him or her through the heavens, and these vahanas are animals or birds. They not only carry around their divine also play an important role in their lives, battles, adventures. Hindu gods and goddesses often took animal or a bird to accomplish various missions on ea devotee's faith and character. Ancient civilisations recognised that animals have the right to co-exist alongside human beings, and they enriched the quality of human lives. From time immemorial, the people of India have believed that animals and birds are an integral part of life on Earth. Animals were loved, nurtured, and even deified. Hindus worshipped some animals as gods and goddesses, and some of the avatars of Vishnu took the form of animals like the fish- Matsya, the tortoise - Kurma, and the boar - Varaha. Every important Hindu god or goddess has a vahana or vehicle to carry him or her through the heavens, and these vahanas are animals or birds. 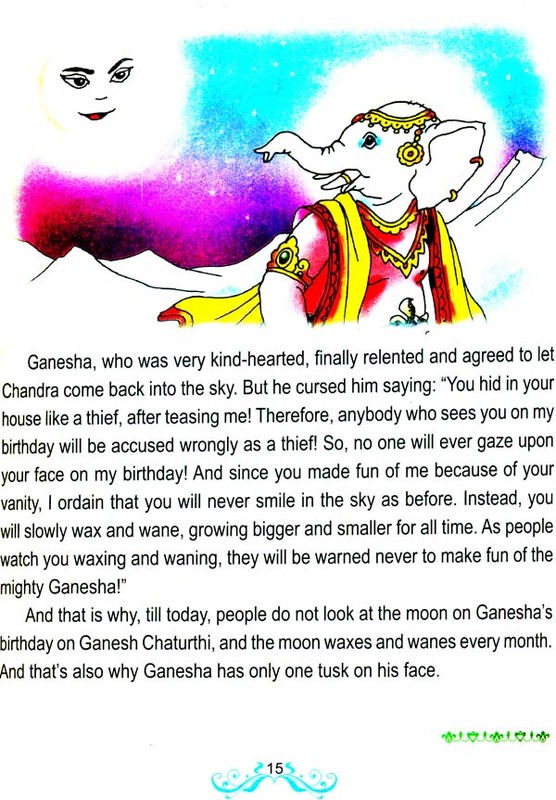 The animal vahanas of mighty Hindu gods range from the tiny mouse Mushika, who is the vehicle of the popular and much beloved elephant-headed god Ganesha, to Manasthala - the magnificent lion mount of fearsome Goddess Durga. An elephant - Airavata serves as the vehicle of Indra, king Ganapati Gets of the heavens, while a bull called Nandi is Lord Shiva's faithful vehicle. Goddess Lakshmi dispenses good fortune from her mount, Uluka - the owl. Vishnu's vahana is a great bird called Garuda, who's half man, half eagle. These vahanas not only carry around their divine owners, but they actively participate, and play an important role in their lives, battles, and adventures. Hindu gods and goddesses often took the form of an animal or a bird to accomplish a mission on earth, or to test a devotee's faith and character. Since India is a land of diverse cultures, with customs, traditions and dialects that vary from one geographical region to another, there are often many different versions of the same story. Through the ages, talented storytellers have imparted their own special touch to old, often told tales. The dramatic and imaginative tales that we have selected for you from ancient Hindu texts, of wondrous animals and birds who sometimes speak, and act just like human being will delight and amuse you. So, turn the pages and read on. Every important Hindu god or goddess has a vahana or vehicle to carry him or her through the heavens, and these vahanas are animals or birds. The animal vahanas of mighty Hindu gods range from the tiny mouse Mushika, who is the vehicle of the popular and much beloved elephant- headed god Ganesha, to Manasthala - the magnificent lion mount of fearsome Goddess Durga. An elephant – Airavata serves as the vehicle of Indra, king of the heavens, while a bull called Nandi is Lord Shiva's faithful vehicle. Goddess Lakshmi dispenses good fortune from her mount, Uluka - the owl. Vishnu's vahana is a great bird called Garuda, who's half man, half eagle. These vahanas not only carry around their divine owners, but they actively participate, and play an important role in their lives, battles, and adventures. Hindu gods and goddesses often took the form of an animal or a bird to accomplish a mission on earth, or to test a devotee's faith and character. Since India is a land of diverse cultures, with customs, traditions and dialects that vary from one geographical region to another, there are often many different versions of the same story. Through the ages, talented storytellers have imparted their own special touch to old, often told tales. The dramatic and imaginative tales that we have selected for you from ancient Hindu texts, of wondrous animals and birds who sometimes speak, and act just like human being will delight and amuse you. So, turn the pages and read on.